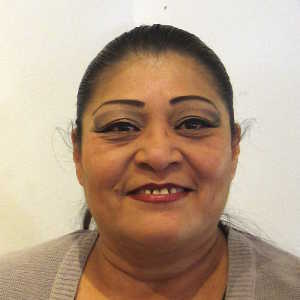 Jackie Shutiva (Histia) was born into the Sun and Yellow Corn Child Clans at Acoma Pueblo in 1961. Her mother, Stella Shutiva, began teaching Jackie the art of traditional pottery creation about the time she turned 19, same as she taught Jackie's brother Wilfred Garcia. 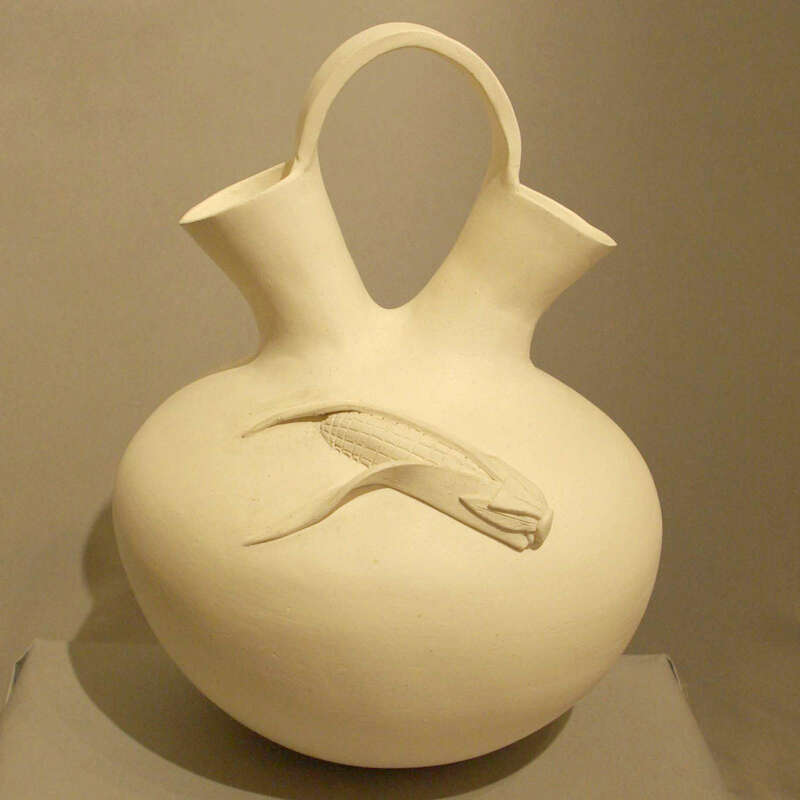 Jackie specializes in hand coiled, traditional and contemporary pottery similar to some of the pottery of the prehistoric Anasazi and Hohokam cultures. 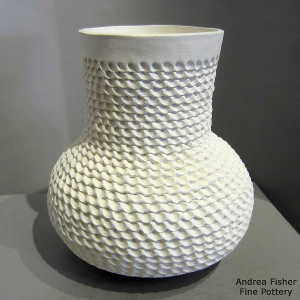 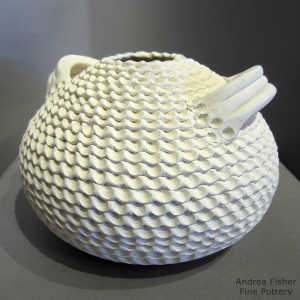 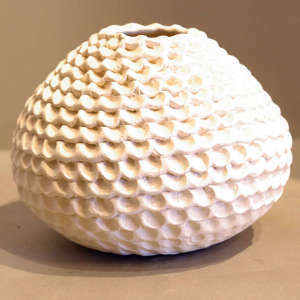 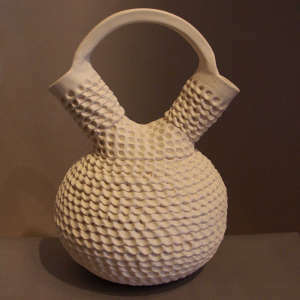 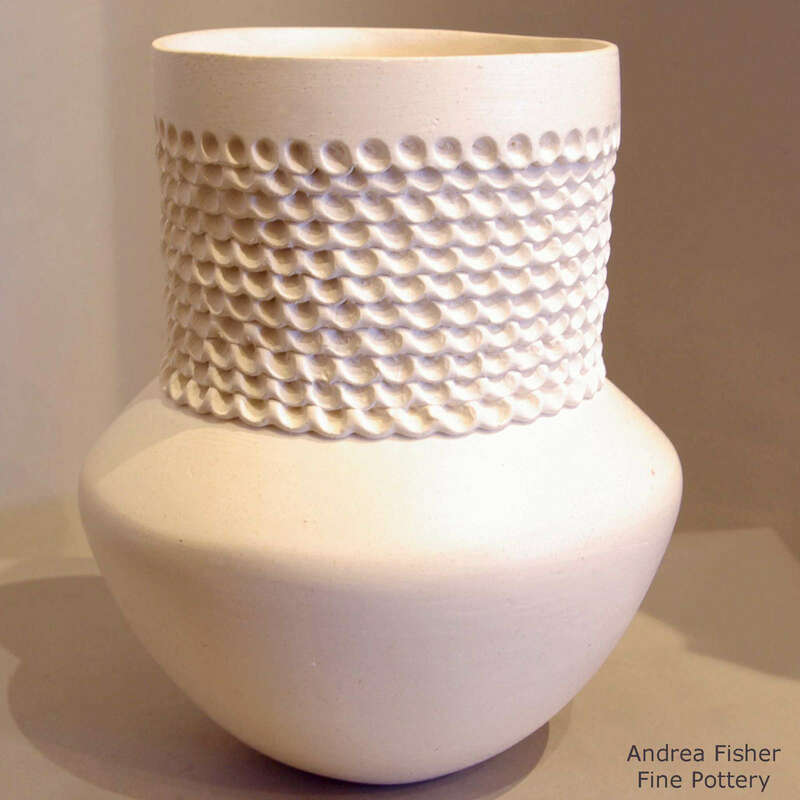 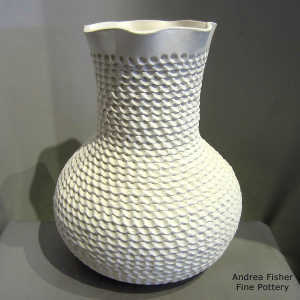 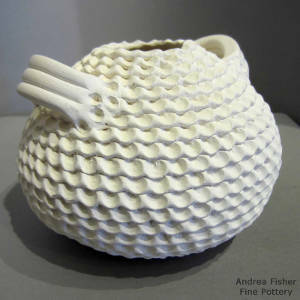 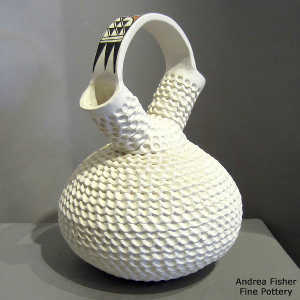 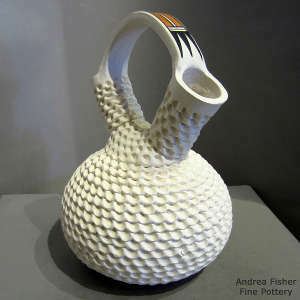 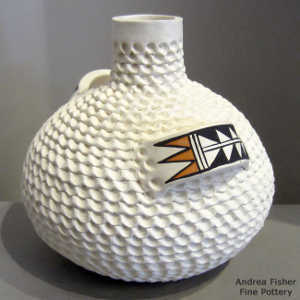 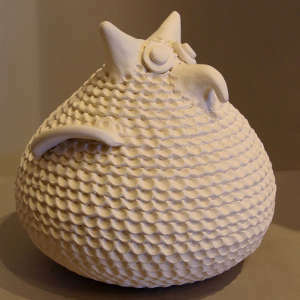 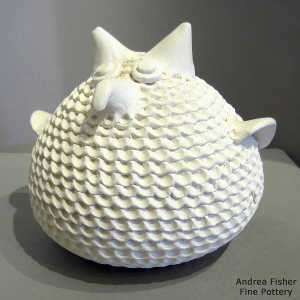 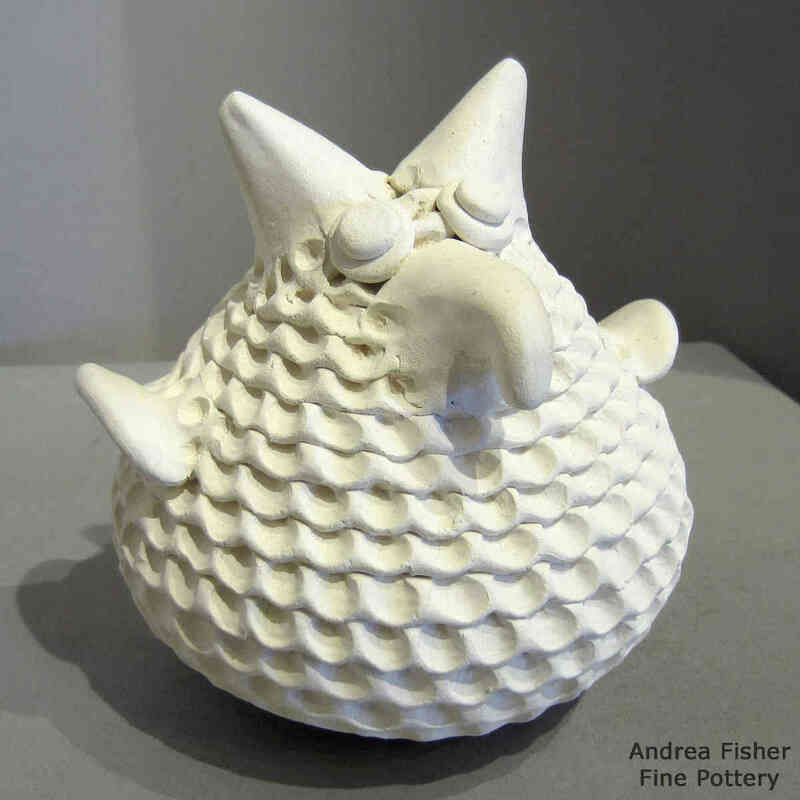 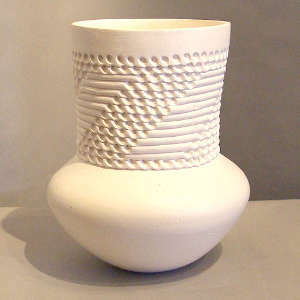 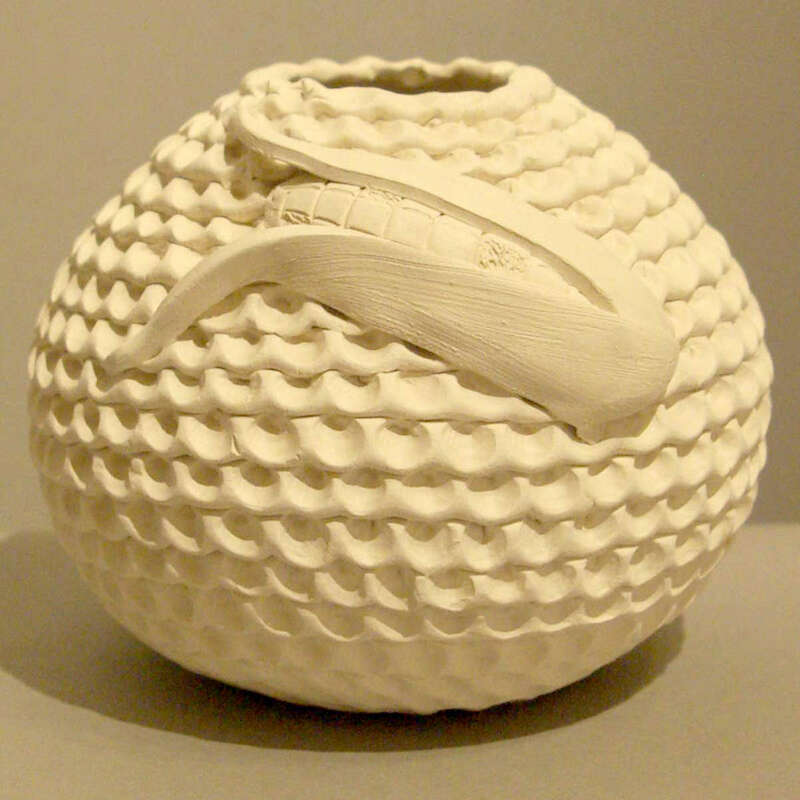 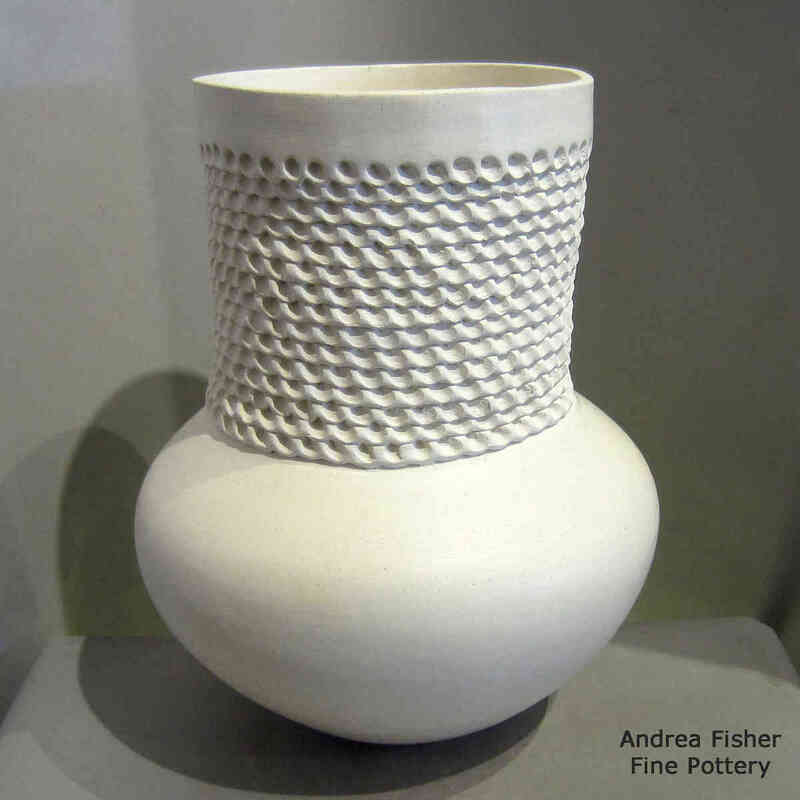 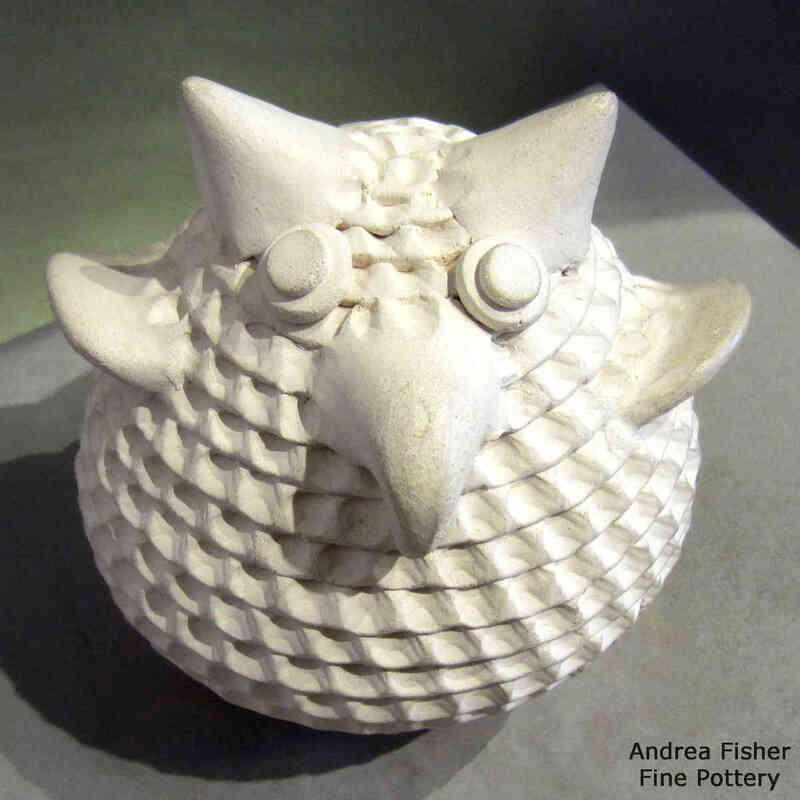 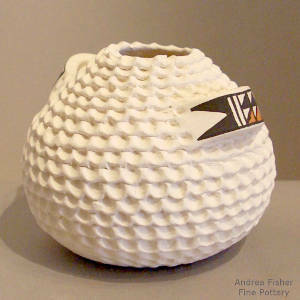 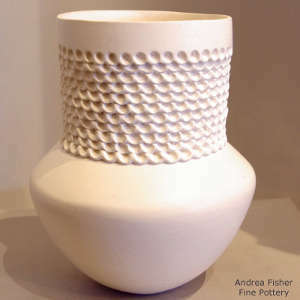 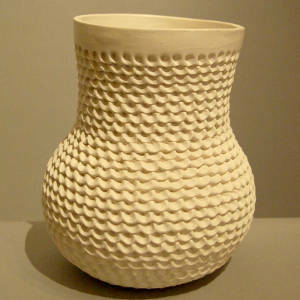 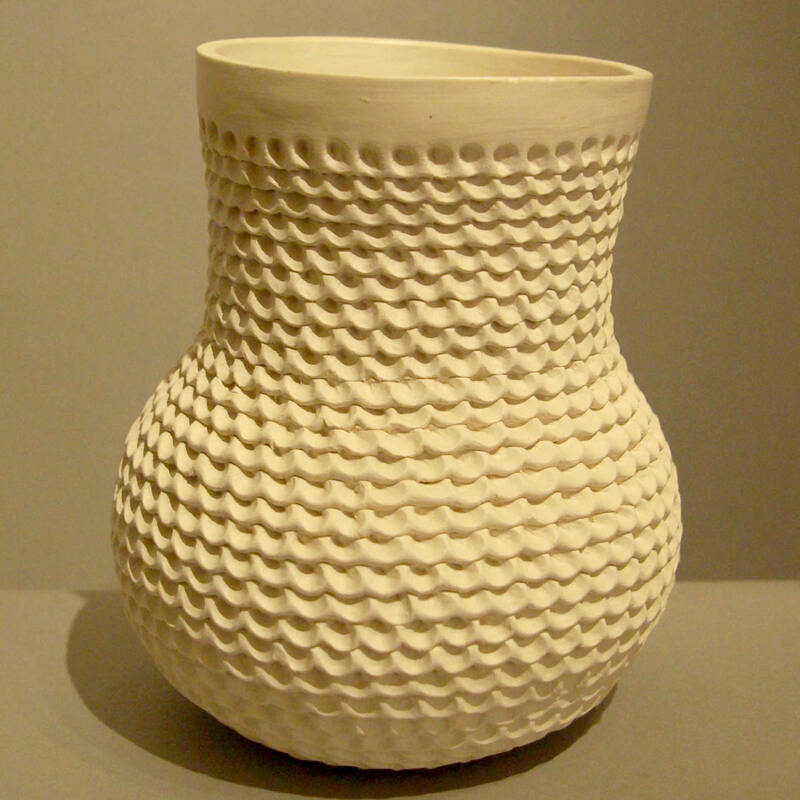 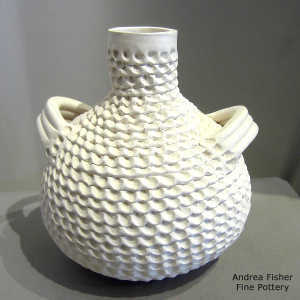 She primarily works with whiteware, too, marrying the new Acoma clays with the old forms and designs. 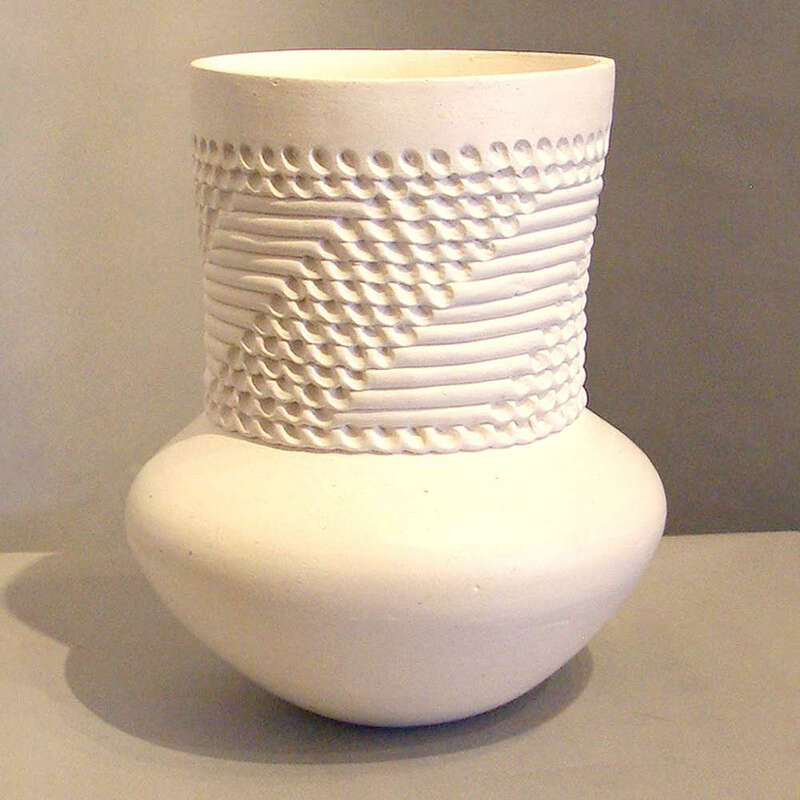 Jackie has signed her pottery in different names over the years. Early on she used: "Histia Shutiva, Acoma, NM". 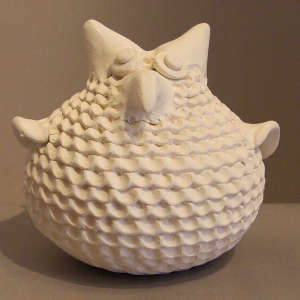 Lately it's been "J.M. Shutiva, Acoma NM" or "J. Montano Shutiva, Acoma NM".